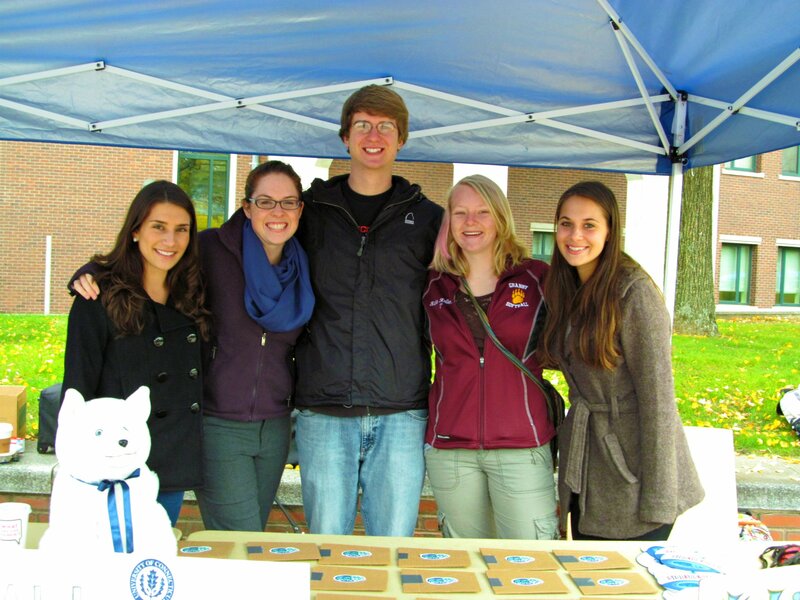 This past October 24th was the 10th annual Campus Sustainability Day (CSD). CSD is an occasion for college and university campuses to celebrate the unique role they play in the movement towards a sustainable society. Sponsored by the Association for the Advancement of Sustainability in Higher Education (AASHE), CSD is a national event with 151 institutions participating from coast to coast. This was the first year that the University of Connecticut joined in. As a center of higher learning and forward thinking, UConn has a growing culture interested in practicing and spreading awareness about sustainability. From student organizations to faculty and staff initiatives, UConn has distinguished itself as one of the “greenest” schools in the country (as we were proudly recognized by the Sierra Club!). The contributors to UConn’s CSD were equally diverse, including sustainability staff from the Office of Environmental Policy (OEP), the EcoHouse Learning Community, Green Grads, EcoHusky Student Group, Spring Valley Student Farm, and even Ballroom Dancing Club. The first part of CSD focused on sharing information about the various opportunities available for students to get involved in the green movement on campus. This was a great opportunity for these groups to advertise their ongoing activities and projects. Tables, tents, and displays were set up on Fairfield Way. Participants brought games, produce, and a range of information for students to take on their way through campus. 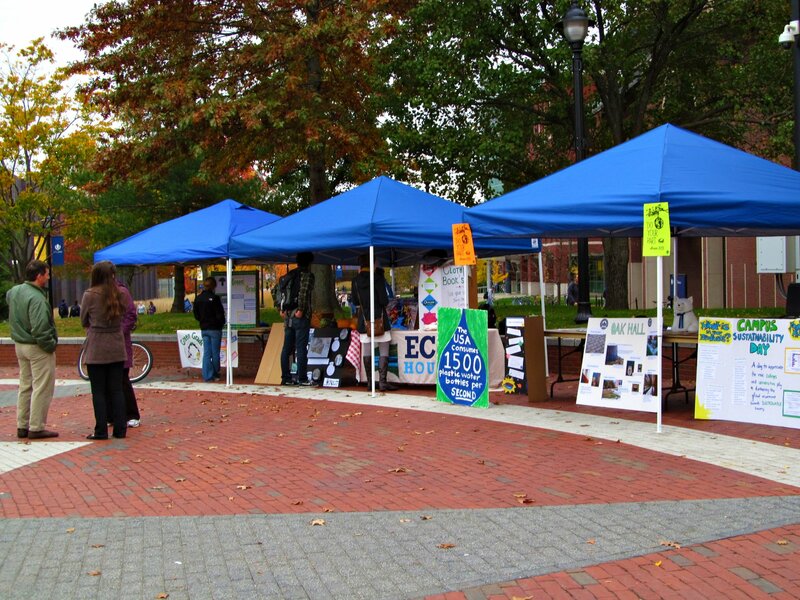 The fair-style event provided a physical representation of the sustainable movement at UConn. The second component of CSD was a review of UConn’s Climate Action Plan (CAP) by sustainability intern Emily McInerney. The CAP is a guidance document that is a product of the American Colleges and Universities Presidents’ Climate Commitment (ACUPCC) intended to outline steps to lead UConn to carbon neutrality by the year 2050. Emily gave a brief presentation on the history of the CAP, its progress since implementation in 2009, and what the future holds in light of the goals it sets out. The talk set the stage for a breakout session in which the (mostly undergraduate) crowd formed groups to discuss the student-centric aspects of UConn’s CAP and sustainability initiatives. Conversation focused on ways in which students can learn about and get involved with sustainability programs on campus. Groups identified information gaps, including the general lack of awareness about electronic waste recycling and car share programs, and pressing campus issues like food waste, recycling, and sustainable transport. Finally, the discussion turned towards ways to address these problems or promote the progress that UConn has made. 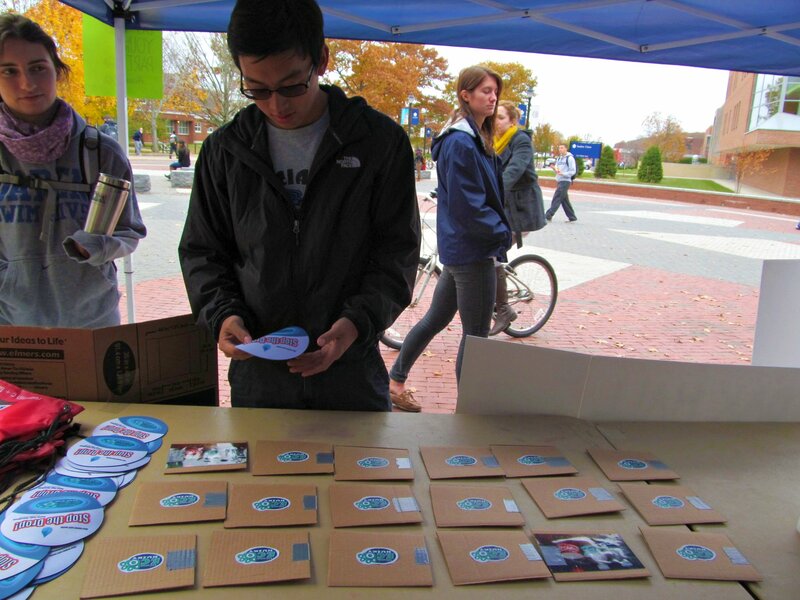 Including sustainability-related information early in students’ UConn experience such as during freshman orientation or campus tours received widespread support, as did adjusting the parking fee structure to encourage alternative transit or carpooling. Students suggested that simple relatable messages could be effective in addressing issue like food or electricity waste. Overall, CSD proved to be a success. The greatest accomplishment of 2012’s CSD was the collaboration and communication that occurred between the diverse factions of students and organizations. Networking, conversation, and education were focal points of the day’s events and these exchanges between the different parties will be a platform for which UConn can continue to build itself, both in practice and in philosophy, as a school dedicated to long-term sustainability. We look forward to participating in 2013!